Check Out our $100 Teeth Cleaning Special in Brampton! Have you considered how important your teeth are lately? If you've been neglecting them a bit, it's never too late to start implementing a regular routine of hygiene checkups - you don't even need to leave Brampton to start on the road to better dental health! Brushing and flossing your teeth is a great start when it comes to taking care of your teeth, but these practices won't give you the healthy support that visiting a highly rated dentist office in Brampton will. Your dental hygienist and dental team can make oral healthcare routine and product suggestions that work with your schedule and keep bacteria and decay away from your smile, all while ensuring your comfort during the cleaning and check-up. 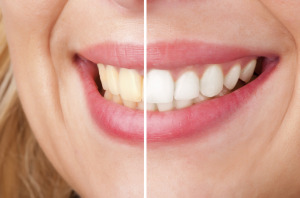 A short visit for a check-up and teeth cleaning in Brampton will keep your pearly whites in top shape for brilliant smiles and a healthy bite you can count on. Contact Us to Request your $100 Teeth Cleaning Special with our Brampton Dentist and Dental Hygienists Today! Don't wait until a painful dental emergency leaves you reaching for the phone. Take pre-emptive steps and safeguard your teeth by contacting us for your specially-priced $100 Tridont dental cleaning in Brampton today.